If you follow any beauty or lifestyle blog, you should know that Diptyque candles rule. Carefully and skillfully curated with makeup brushes and fragrance samples, they do make for gorgeous photos. But are Diptyque home fragrances worth the hype and the money? Personally, I spend a small fortune on candles. I want my home to smell pleasant and inviting. I can peruse the shelves of my local Home Goods store all day long for beautifully scented candles at a fraction of what I’d pay at a specialty store. Surprisingly, they carry an assortment of quality scents in the store. But for what I spend on candles at Home Goods, I decided that I could take that money and purchase a relatively higher quality candle with Diptyque. I’ve bought Diptyque candles at least three times before, so I’m not new to the brand. 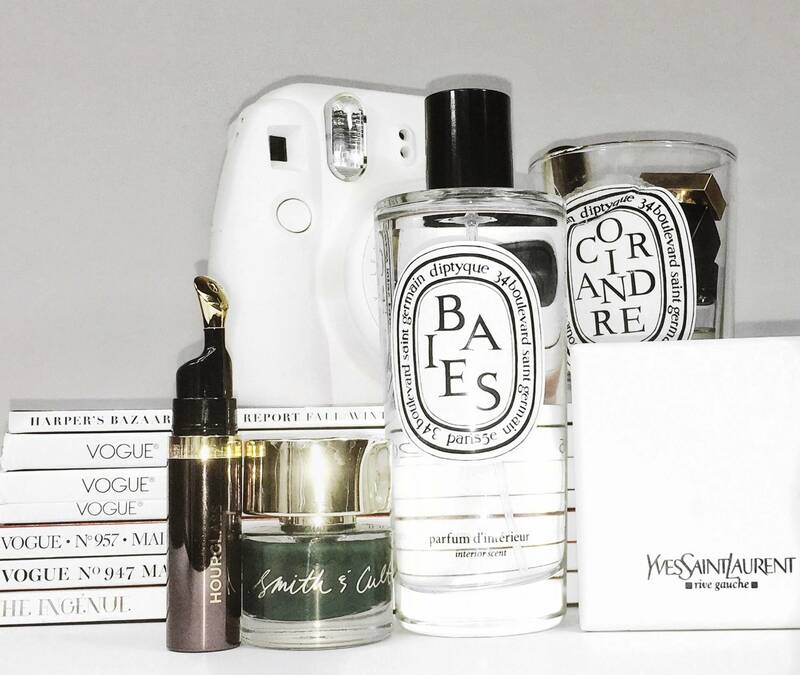 But rather than going for the candle on a recent splurge, thanks to my new blogger friend, Rhondine at Napps and Sass, I went for the Diptyque Baise Room Spray. I went to the closest Blue Mercury store in my area and while they had a decent selection of candles, they only stocked two Diptyque Room Sprays – Baise and Figuier. I sprayed each and they smelled wonderful. I started to purchase Figuier because I love the smell of fresh figs, but my nose started to “tingle” and I started sneezing like crazy. So I bought Baise. While I love burning my Baise-scented candles, you have to wait a bit before the scent starts to envelope the room. But with the room sprays, you can get an instant shot of the scent. With any “smell goods”, we want our fragrances to last. Just like layering your perfume with scented body cream or lotion, I liken using a candle with a room spray the same way. I call it “room fragrance layering” (you heard it here first). While home on a Sunday morning, I burned my Baise candle and sprayed the room with my spray. I went to the grocery store that early afternoon (I blew the candle out before leaving home :-)) and when I returned, my place smelled warm and pretty! So, in my opinion, do I think the Diptyque room sprays are worth the money? I think so. I have a very sensitive nose and anything that smells very “chemically” makes me feel very queasy. So I try to go for things that don’t overpower my senses. That’s why you’d never see anything from Yankee Candle or grocery store fragrance sprays like Glade in my home (no diss). In the future, I do plan to purchase another spray. After visiting the Diptyque website, I am so interested in the Orange Blossom and Ginger room sprays.